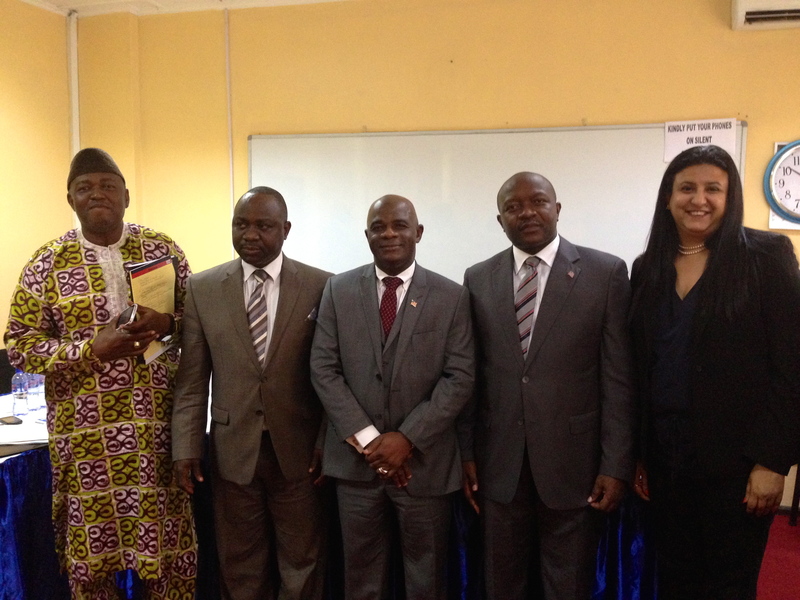 On 17 July 2014 the Global Centre and the Government of Liberia co-hosted an Awareness and Capacity Building Workshop on the Responsibility to Protect, which took place in Monrovia, Liberia. The objective of the meeting was to localize the discussion on R2P by means of a constructive dialogue with different stakeholders on how Liberia upholds its R2P. A secondary objective of the meeting was to create a space for the government of Liberia to establish the terms of reference for their R2P Focal Point within the context of their national priorities and governmental structure. The day-long event took place at the Ministry of Foreign Affairs with a number of stakeholders and senior Liberian officials making statements, including the Foreign Minister of Liberia, Associate Justice of the Supreme Court of Liberia, Ambassador of the Economic Community of West African States (ECOWAS) to Liberia, Chair of the Senate Committee for Foreign Affairs, Deputy Ministers of Interior, Justice and Defense and Director of the Liberian Foreign Service Institute. Over 40 participants attended the meeting from a wide range of government departments including representatives from the Office of the President, Ministry of Foreign Affairs, Ministry of Interior, Ministry of Justice, Ministry of Immigration, Ministry of Defense, and Liberian National Police. Members of Liberian civil society were also present. In his opening remarks, H.E. Mr. Augustine Kpehe Ngafuan, the Foreign Minister of Liberia, noted the need to address the gap between rhetorical commitment to R2P and its effective implementation. He also talked about the value of the workshop and its purpose in translating international obligations to local needs and priorities in protecting populations. ECOWAS Ambassador to Liberia, H.E. Mr. Babatunde Olanrewaju Ajisomo, speaking on behalf of the President of the ECOWAS Commission, emphasized the African origins of R2P, from article 4 (h) of the Constitutive Act of the African Union to the willingness of ECOWAS to intervene in mass atrocity situations both politically and militarily. The meeting was particularly meaningful as most senior officials and ministers demonstrated a nuanced understanding of R2P and what it meant for their national context. For example, immigration officials pointed out that although porous borders enhanced the sense of community in the region, it also led to unwelcome movement of small arms and light weapons. Military officials acknowledged that recruitment practices adopted as part of the security sector reform process were instrumental in creating a force that would protect civilians rather than perpetrate crimes against them. Justice and Interior ministers discussed the role of the land reform commission and local peace councils in mitigating grievances. The workshop was an opportunity to further sensitize officials to the importance of applying the mass atrocity lens. It was a great learning experience for the Global Centre and provided us with a good model of holding future meetings where discussions center on practical governmental implementation rather than abstract commitments. The Global Centre continues to work with the government of Liberia, which continues to develop as a norm champion in West Africa.